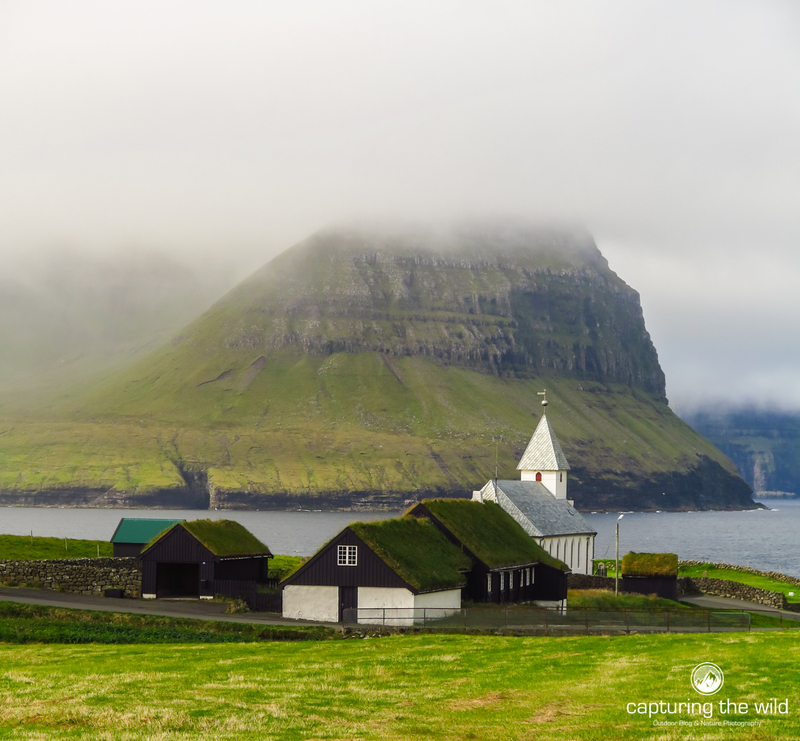 The Faroe Islands are a relatively unknown group of 18 small islands in the middle of the North Atlantic between Norway and Iceland. The islands belong under the Danish realm but they form an autonomous country. 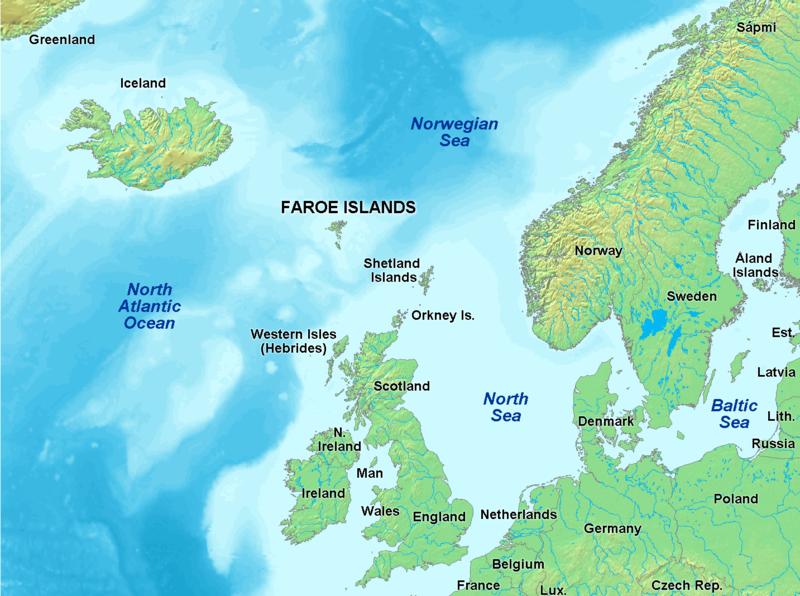 In Danish, the name Færøerne means Island of the Sheep. Obviously you will meet many sheep during your stay! There are also hardly any trees and the landscape is dominated by rocky mountains, steep cliffs towering above the ocean and lush green meadows and swamps. To reach the Faroes you will always have to go to Copenhagen in Denmark. From there you can either fly or take the Smyrill Line ferry. Flying is actually quite amazing because the airport in Sørvágur is tucked away between the mountains and the view from the plane is breathtaking! Færøerne is very small and you can get almost anywhere in the same day. The road system is great and you can reach most of the islands further out by ferry. Busses go around the islands as well. This is the way we travelled around and it worked out fairly well if you plan your hikes around the bus schedule. Worst case you can always catch a ride by hitchhiking. You are not allowed to camp in the wild because they want to protect the environment and also the weather can be brutal and changes like the wind (literally). There are camping sites around the island where you can pitch a tent. You can book in advance or just show up and try to get a spot. Here is a list of camping sites on the islands. 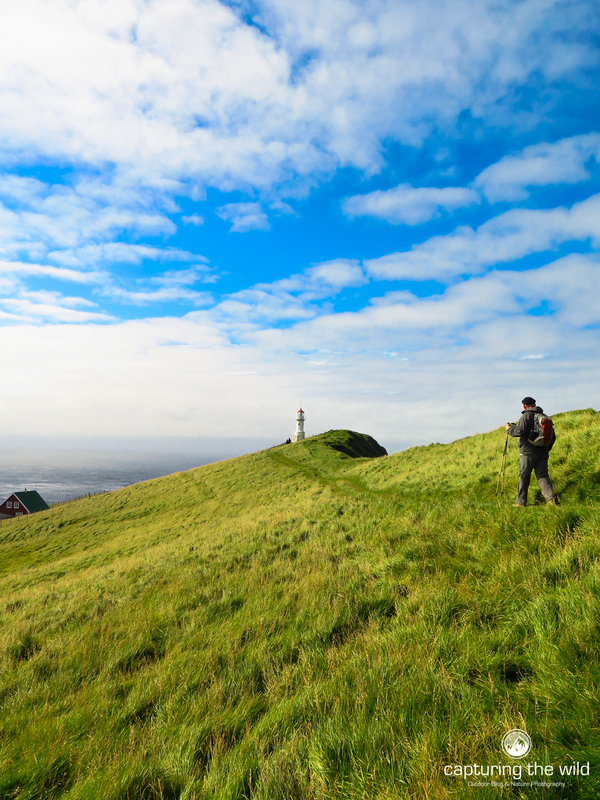 We used the Giljanes campsite in Midvagur, the camp site in Eidi and the one in Torshavn as a base for our hikes. The camp site in Eidi is pretty cool because you camp at a old football pitch right at the edge of the ocean. The main season is July and August. This is when most camp sites, hostels and tour companies and ferries are operational. 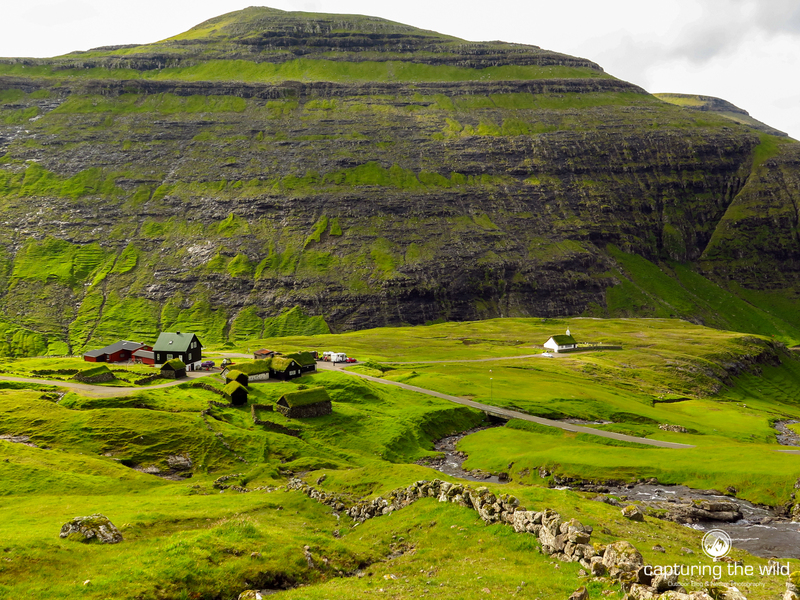 Outside these months it is still nice to go to Faroe but it is a bit more difficult to get to some places. 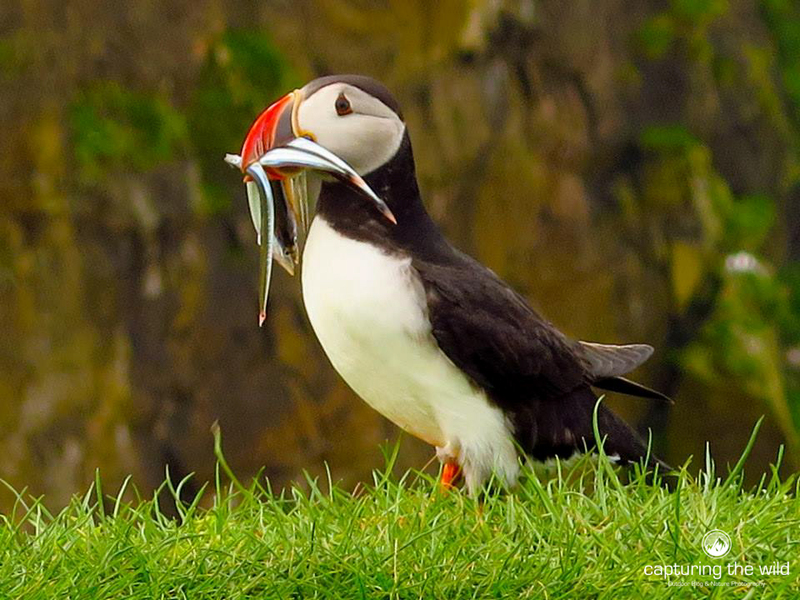 The weather can be challenging all year round but the best time to visit tends to be between june and september. 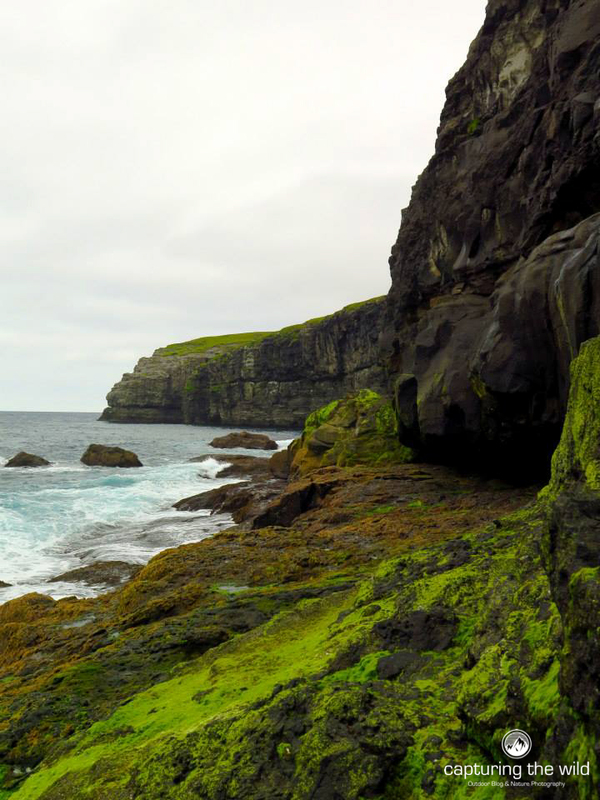 Hiking is the best way to see and feel the beauty and wildness of the islands. Spending the day out in the mountains and valleys with the wind in your face can be so rewarding and refreshing. The weather can change every minute and this is part of the charm. Even on a rainy day the clouds and the rain can do magical things with the light. As always you have to come prepared with rain and windproof hiking clothes and boots. You will need them! There are no real official trails. You can use topographical maps or a gps or gps app on your phone to navigate. Most hikes are not extremely difficult but you need to be in good shape and have at least some experience hiking in the mountains. There are cairns (piles of rocks that mark the way) you can follow on most hikes. Keep your eyes open for them and you will most likely not get lost. So here are the hikes I did together with my dad! 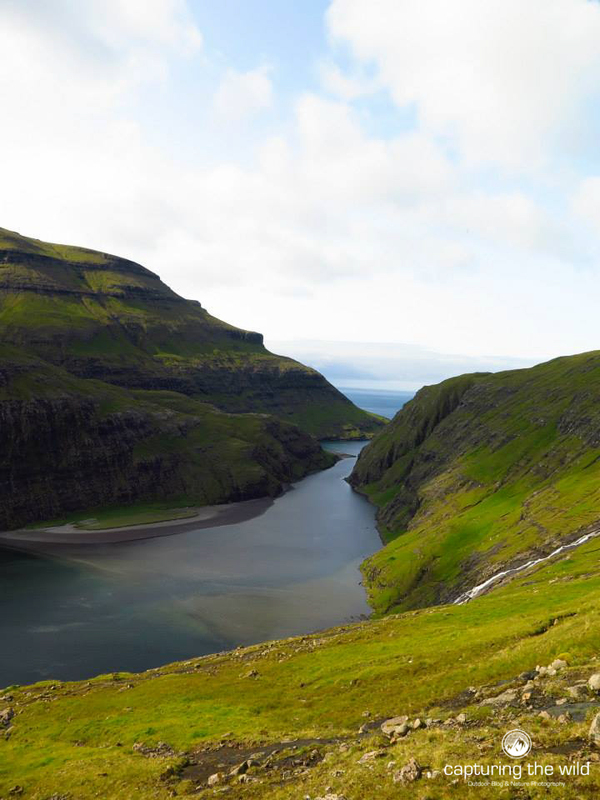 The hike starts at the left side of the Leitisvatn when you come from Midvagur on the island of Vagar. 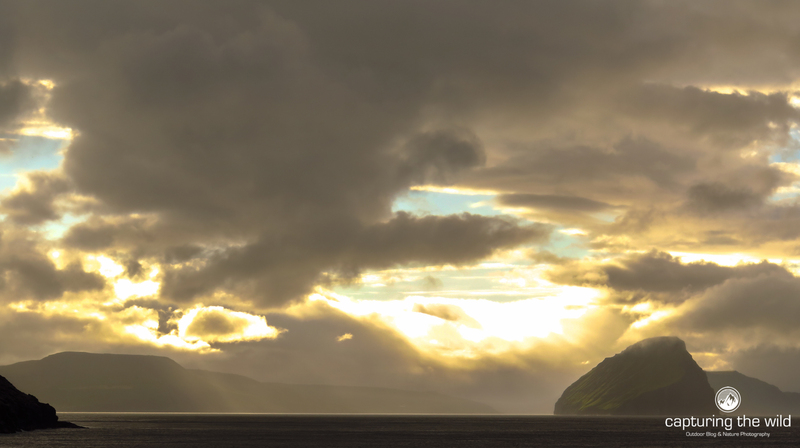 It is close to the airport at Sørvágur .Leitisvatn is the biggest lake on the Faroe Islands. You follow the lake al the way to the end where a small river drops into the ocean. This waterfall is called Bosdalofossur. This is a very easy hike which can be done in half a day. 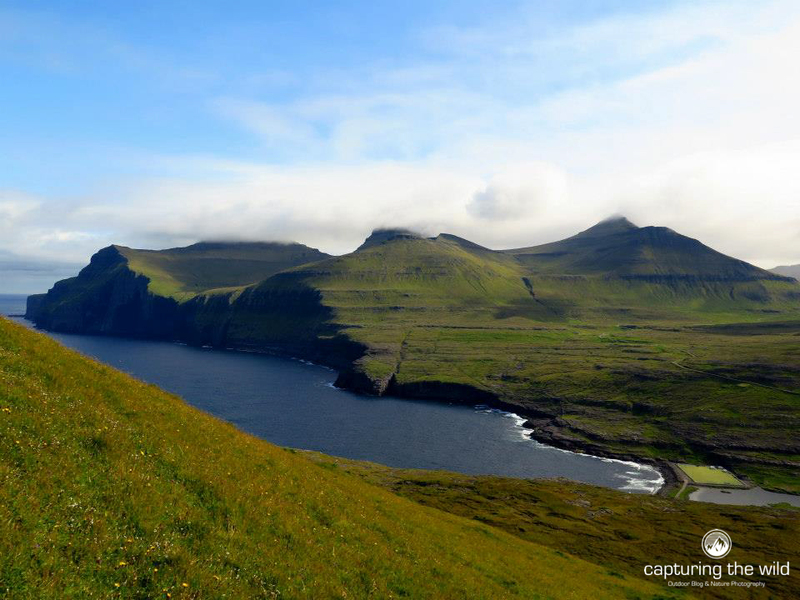 It will give you a glimpse of what Faroe has to offer with great views over the lake and the cliffs just before you reach the waterfall. 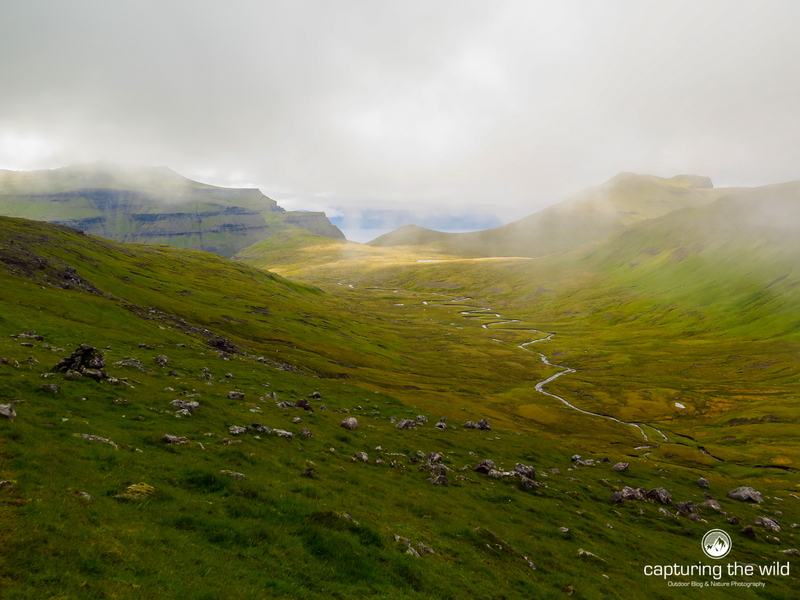 Probably one of the most iconical hikes and places to visit on the Faroes. Gasadulur actually translates to Goosedale in English because of the geese that used to come there. This is a long hike that can take you 6-8 hours of hiking. You can take the bus to Sorvagur and from there you start hiking on the road that leads to Gasadulur. You will pass the tiny fishing village Bour. Great place for a short break! Before you reach the tunnel that goes under the mountain there is a trail that goes left over the mountain. We had strong wind that day and could barely move forward so we decided to walk through the tunnel and take the mountain route on the way back. This turned out to be a great idea because the weather changed and the wind was from behind on return. There is a sign that shows you the way up the mountain from Gasadulur. Amazing views over the cliffs and the surrounding mountains are your reward for taking the high route. 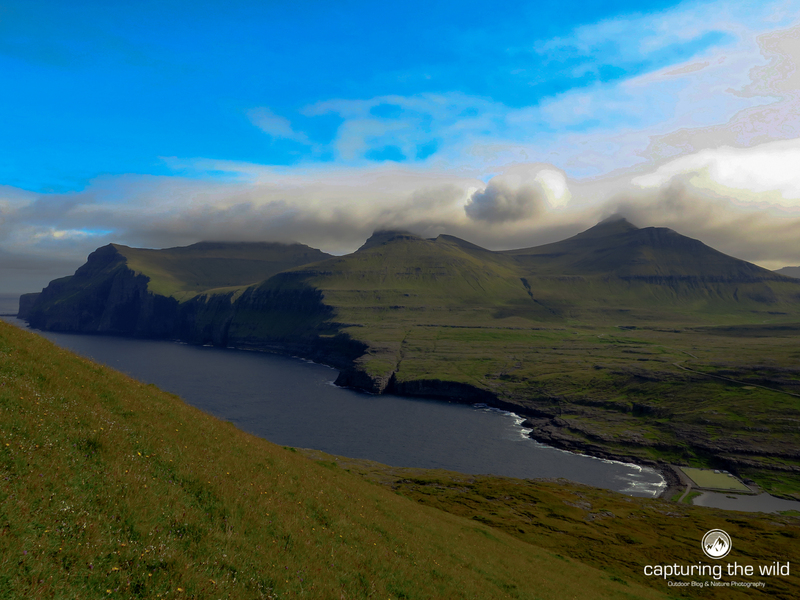 Typical Faroe vistas will be all around you. Just make sure you follow the cairns and that you make it back in time to take the bus back to where you stay. 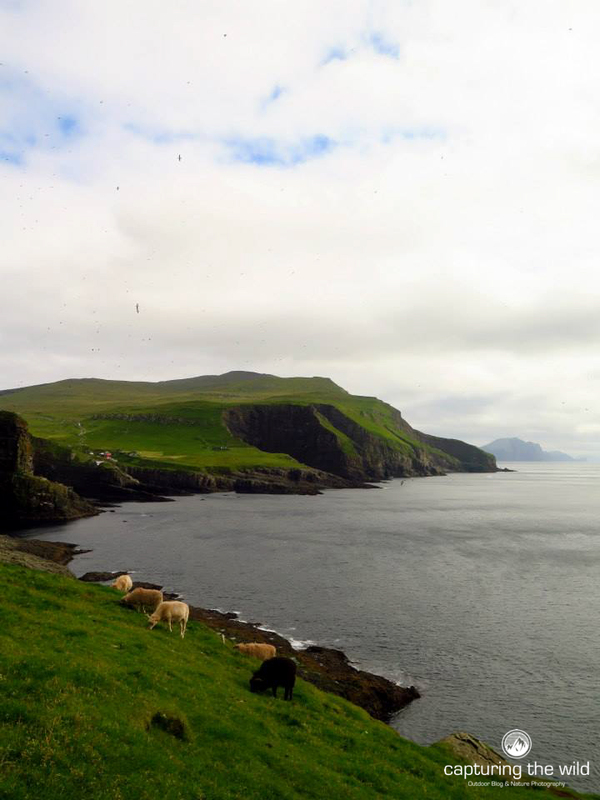 The hike from Tjornuvik to Saksun in the north of Stremoy island in north Faroe is a long day hike. Return it is between 15 and 20 km depending on the route you follow. You take the bus to Tjornuvik and from there you hike over the mountain pass to the hidden valley on the other side. 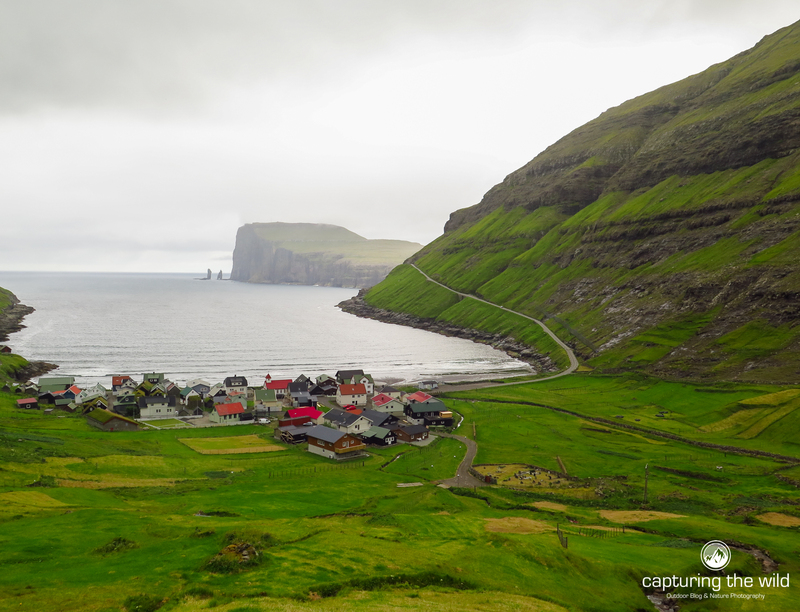 Saksun is an idyllic tiny village tucked away in a green valley. Saksun used to be a harbour because the inlet was sheltered from the sea by the mountains. But a storm blocked it with sand so it wasn’t accessible anymore. The views when you are descending into the valley are very nice. 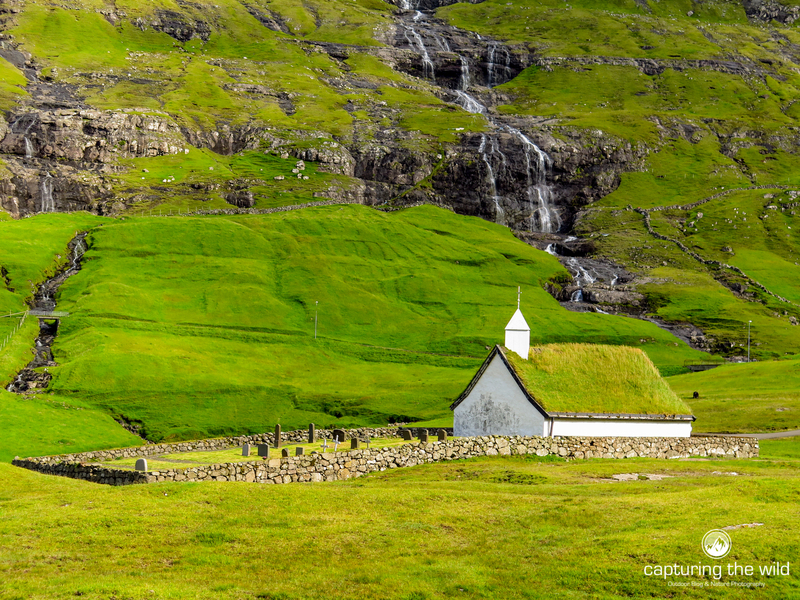 You pass a few waterfalls on the way down and you will be able to spot the picturesque church with the typical green roof of the Faroes. Once you get there take your time to take it all in and wonder around to the beach below with ofcourse another waterfall. There is no public transport to Saksun so you will either have to hitch a ride or walk back to Tjornuvik. Keep in mind that the trail is quite rocky and a bit difficult to find sometimes. There are cairns but they are not always visible. I was happy I used a gps track because on the way back it got very foggy and it would be easy to steer away from the track. So come prepared! Eidi is a village on Stremoy in the north. It is known for the two famous rock formations you can see if you follow the beach to the right from the campsite. They are called Risin and Kellingin which means the giant and the witch. 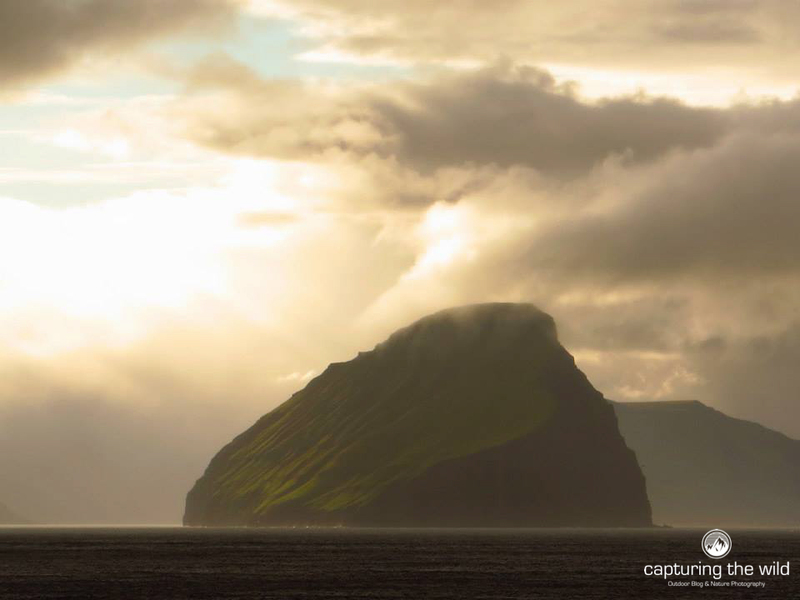 The names originate from a legend where the giant and the witch came from Iceland to steel the Faroe Islands and pull it back to Iceland. 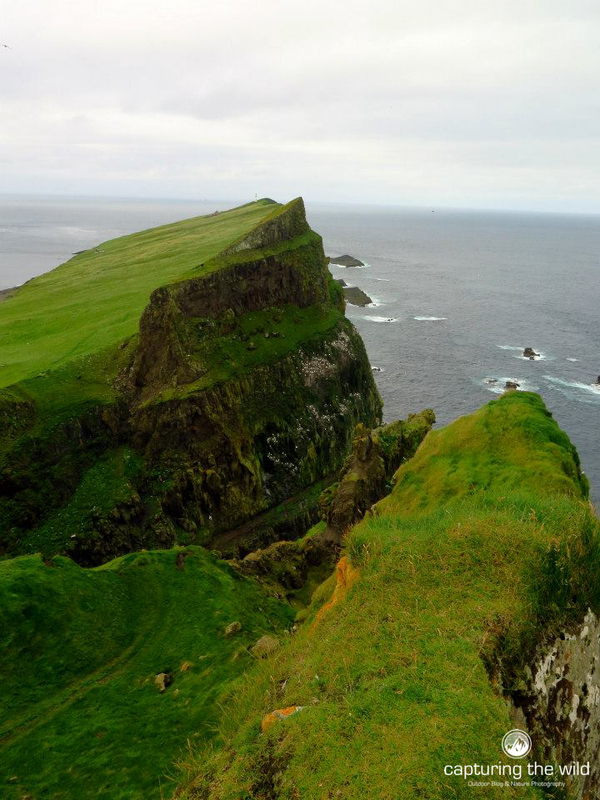 You can also see them from Tjornuvik and from the top of Eidiskollur where you can look straight down the cliff from 343 meters above the ocean. The hike starts from behind the north side of the village. The trail is easy to follow. You just walk towards the top of the hill. It is just up and down. But the views are well worth it. 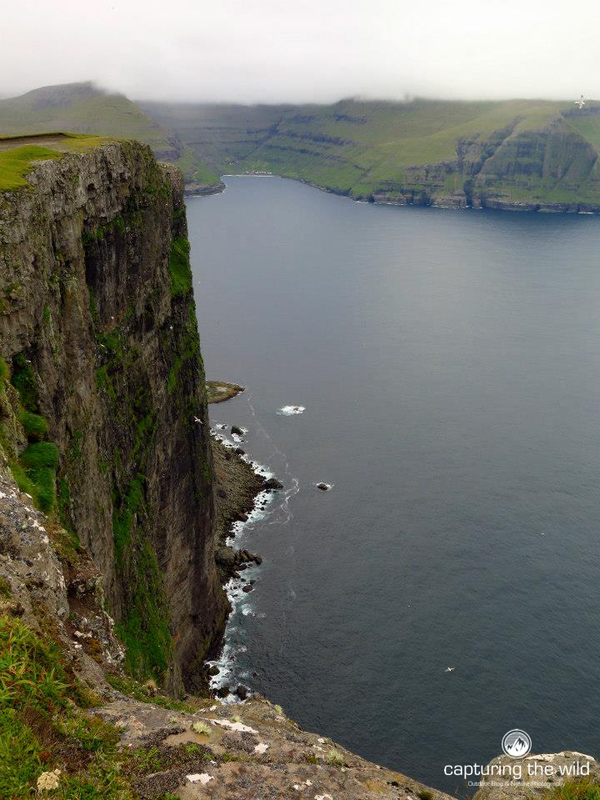 From the top you can look along the coast and see the cliffs and you will have great views on Tjornuvik on a clear day. Well worth the hike! 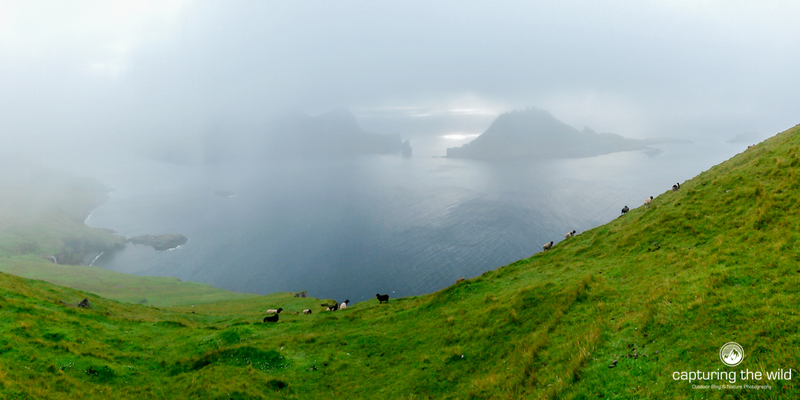 Probably the most beautiful place I visited on the Faroe Islands. If you can experience this island on a sunny day it will take your breath away. 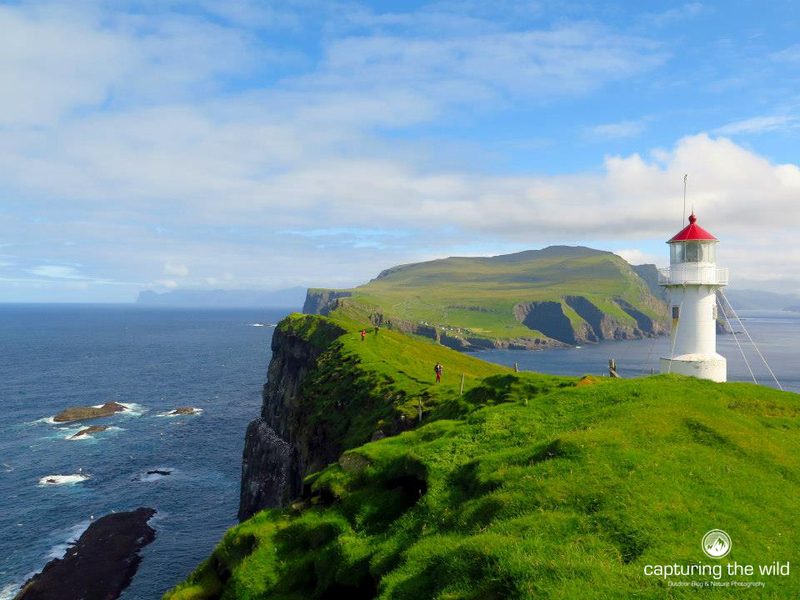 It is the most western point of Faroe safe from a rock in the ocean a bit more west. 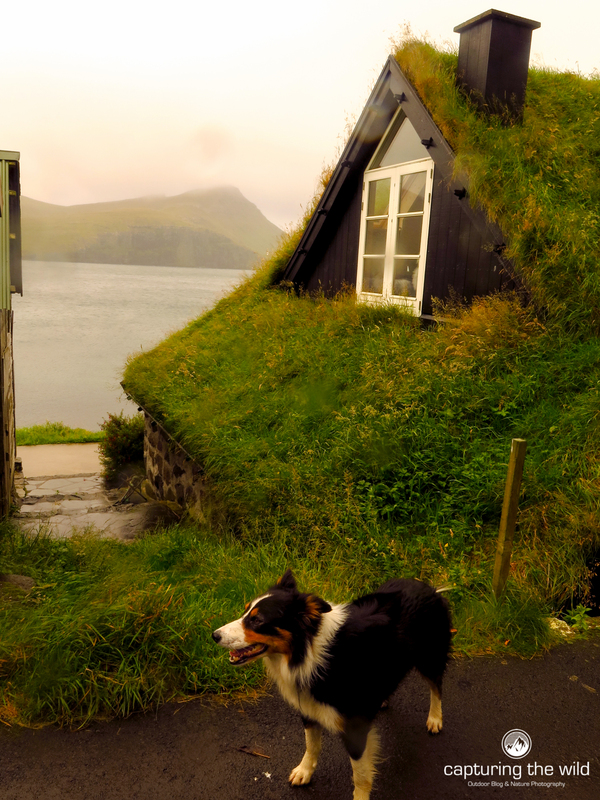 To get to Mykines Island you need to take the boat from Sorvagur. You hike from the harbour at Mykinesholdur to the lighthouse at the point and you will never be far from the edge of the cliffs. 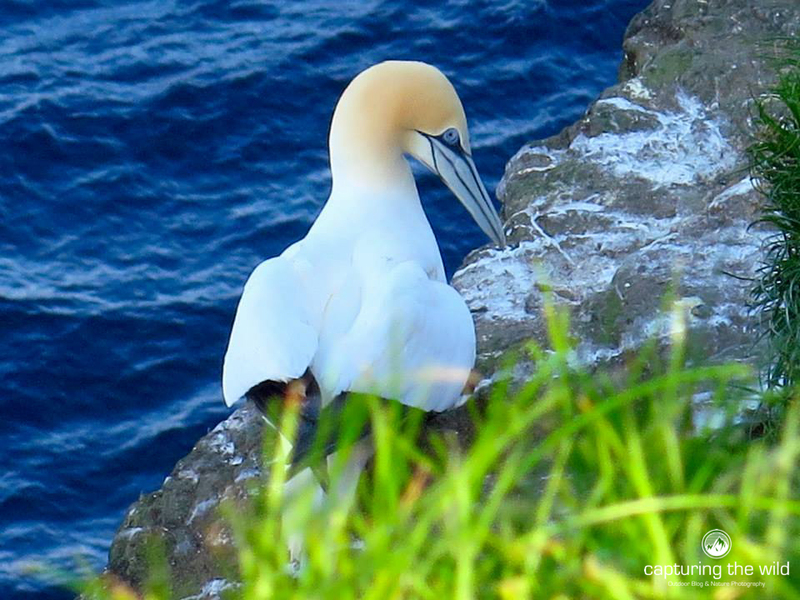 The birdlife on this small island is one of the richest in the world with puffins, gannets, storm petrels and albatros. 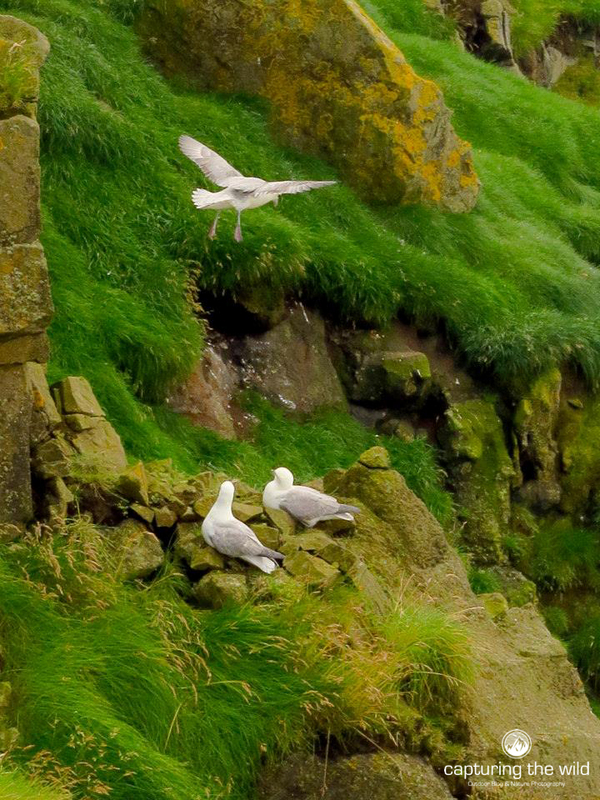 It is an amazing sight to see and hear them fly right next and over you. Just spend the day hanging out around the cliffs and the lighthouse before you head back to the harbour to take the boat. 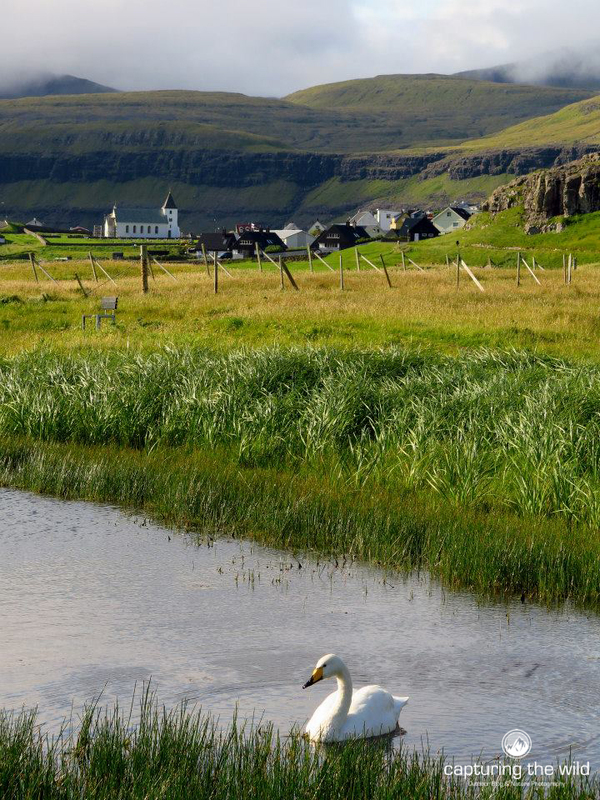 If you want you can stay on Mykines in July and August. 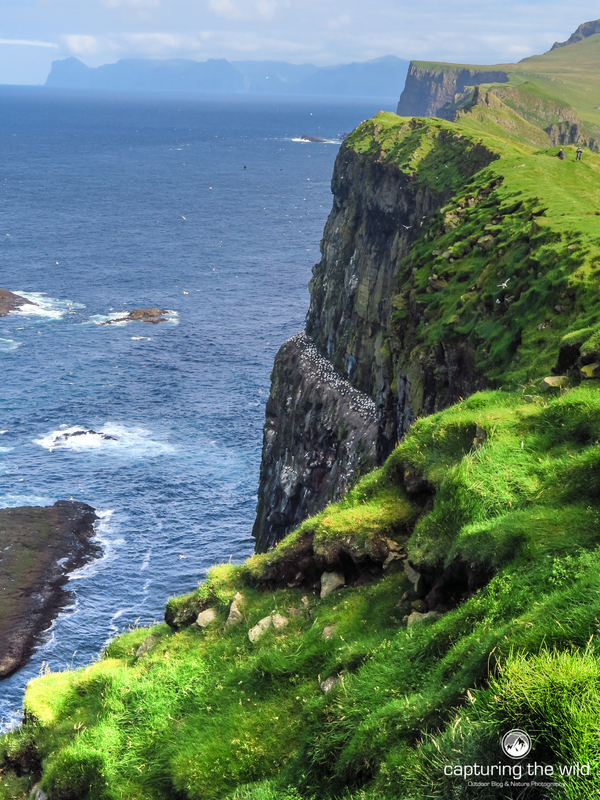 Another trip worth to mention is the boat ride to see the Vestmana bird cliffs and the Witch’s Finger, a rock formation on the west side of Vagar island. Even if it is not really the season to see the birds it is still nice to have a different perspective to see Faroe Islands from the ocean. The boat also takes you close to the cliffs and you go into a few caves as well. Well worth it! 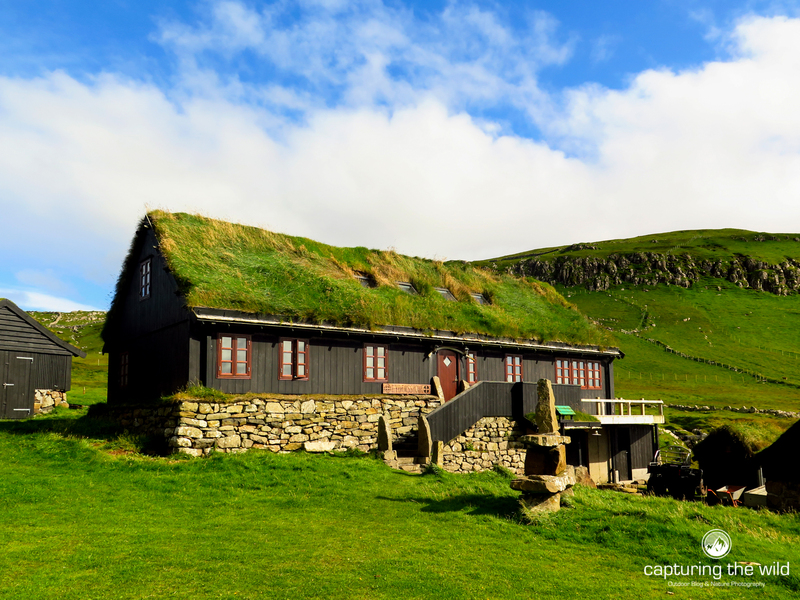 Vidareidi is the most northern village in the Faroes. 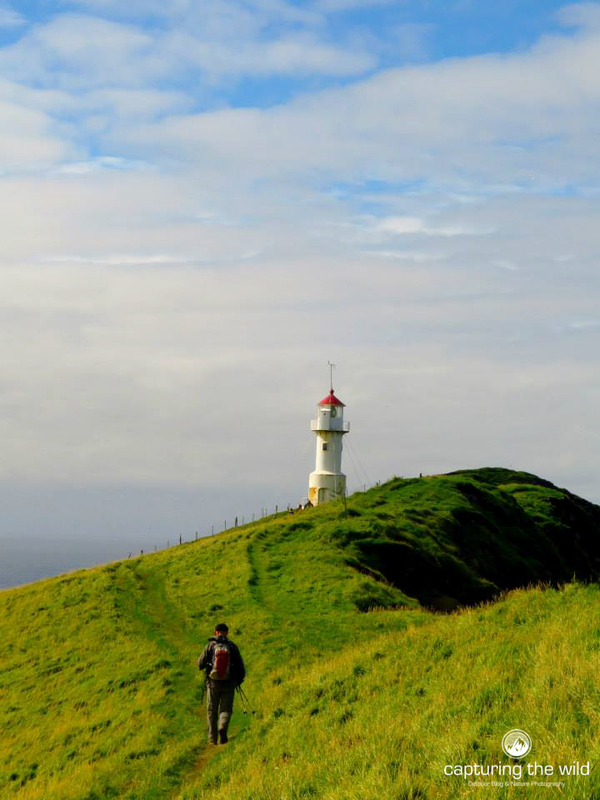 You can hike up the highest cliff (Cape Enniberg 754 meters) on the islands or just wander around for half a day and check out the surrounding beaches and hills. Outside of Torshavn and Klaksvik there hardly any supermarkets, restaurants or bars. There are small shops in most villages. One thing that really struck me was that there are no billboards or any kind of advertisement. Such a relief from what we are used to! 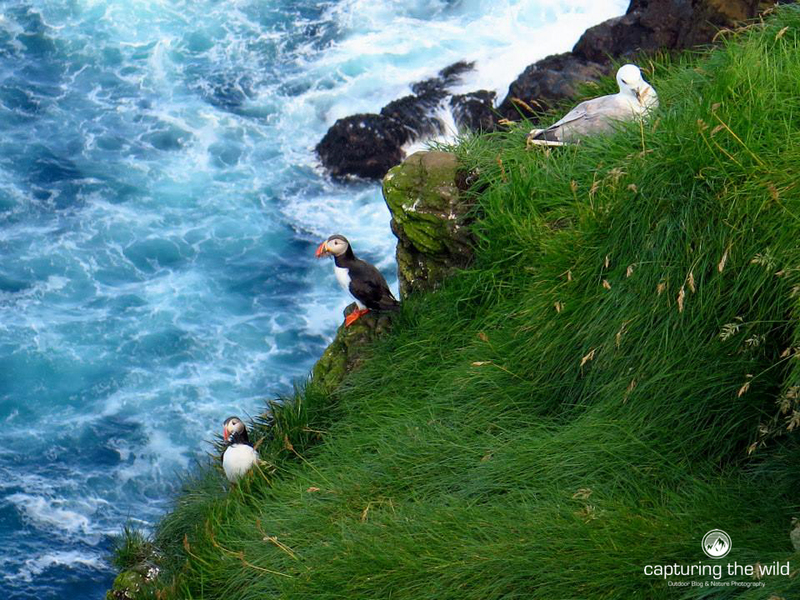 The Faroe islands are a place for people who are looking for something different. It is not your regular tourist destination. It is not really catering for tourists but to free your mind and feed your soul they are the right place to go!